Is puppy socialization really necessary for tiny breed puppies? The answer is a resounding YES! You now have that wonderful bundle of furry joy, thought about her physical needs, but now it is time for puppy socialization. How is your new puppy's social skills? Puppy Socializing will eliminate many bad habits and behaviors that can occur in your breed of choice and assure that you dog will become a good canine citizen. Just as we teach social skills to young children, we must also be aware that dogs need proper socialization, too. They must learn to behave appropriately when interacting with people and other animals. 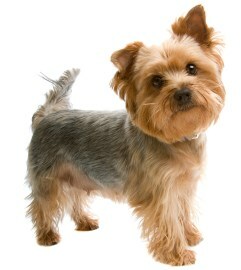 Many small breed dogs go everywhere with their owners, some in the luxury of a purse or stroller and others enjoy frequent walks on their own locomotion. Wherever they go, they must learn how to respond appropriately in all situations from riding in a car to visiting a park. Well socialized puppies are easier to train and trained puppies are easier to live with and enjoy. Very few well trained, socialized puppies turn into adult dogs that find their way to the local animal shelter or rescue organization. Another very important reason for puppy socialization whether you do it yourself or get it through puppy socialization classes is to prevent what trainers call Small Dog Syndrome, a set of behaviors seen in small dogs such as jumping up on guests, ignoring commands, making in the house, barking, chewing and anything else they can get away with. It is a small dog’s way of acting big and it is usually the result of the way we treat our pets. Puppy socialization is also important because it helps prevent just those behaviors mentioned above that end up turning into major behavioral problems such as dog phobias, separation anxiety, aggression, and destructive behavior. While some of these problems have a genetic element, many can be overcome through the appropriate environmental socialization efforts of their owner. When to Socialize Your Puppy? Puppy Socialization begins at birth and if you have acquired your puppy from a reputable professional breeder, you can be sure that he or she has been hard at work, interacting, touching, holding and exposing your pup to a variety of sights, sounds, smells, and routine household occurrences. If the breeder raised the puppies in her home, your new puppy will already have heard and experienced the vacuum cleaner and other household appliances at work, the sounds of cats and other dogs, and felt and played on a variety of textures from wood and carpeting, to tile, brick and stone. Breeders should be following the Puppy's Rule of 12 so that your new puppy will be ready for her new home. Please click on the link to learn more about puppy development stages. Depending on the season, your pup will already have experienced the rustle of leaves, water from a wading pool, the clap of thunder, or the rain pounding on the windows or the thrill of running through new fallen snow. The puppy will have already have had some encounters with a wide variety of people, children, teens and adults, men and women, people that wear boots and hat and carry umbrellas. Some may be tall, some overweight, and some that talk very loud. In short many different experiences with people. This is how your puppy's breeder is helping in the puppy socialization process. The breeder turns over the task of socializing to you the minute you take your new puppy home. Socializing your tiny breed dog is not difficult and for most, the process of socialization is merely a matter of exposing your puppy to as many new situations as possible, taking note which situations may be troubling to your puppy, and working to eliminate any problems. Socialization goes hand in hand with training, so the wise owner will want to make sure his little puppy learns right from wrong from a very early age. Sounds easy? Well it can be and should be fun. As you begin your life with your new puppy, you will naturally want to show him off to friends, family and the community at large. Think about all the different places you can take your dog. Think about the people you know who will love to meet your new dog. The first few months of a dog’s life are critical for socializing but puppy socialization and training should be a life time project that strengthens the bond between the two of you. Run errands with your dog to get him use to being in the car. Never leave your dog in the car alone. If your dog is prone to car sickness, do not feed him before the trip and only offer treats when you are almost home. Visit different parks, people and dog parks. Save the dog parks until your puppy is fully immunized. A stroll through a park is likely to attract some attention from passersby so be prepared. Few people can resist the charms of a new puppy. Invite friends to the house to meet the dog. Save this until the puppy has had a few nights to adjust to your family. Too much excitement and too many people greeting a new puppy on his first day is very overwhelming to the baby dog. Enroll your puppy in a puppy class. Check to make sure your puppy is the correct age for the class you are considering. Walk your dog in your neighborhood. Get to know the neighbors and their pets. If you have children, attend their sporting events with the dog. This is a great opportunity to expose your puppy to young children, but do not let the puppy get overwhelmed by too many hands. Play different kinds of music. If your puppy is hyper, try some soothing “spa” type music. It will relax him and you too. Expose your dog to trails that allow skaters, bikers, skateboarders or strollers so your dog will not become frightened of people moving quickly. 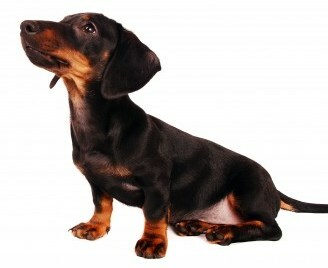 Let your dog view you using a vacuum cleaner, hair dryer, washing machine, blender or other “noisy” appliance. Supervise your dog outdoors when the lawn is being mowed. Expose your dog to small kiddie pools with about 1-2 inches of water; allow dogs to run through lawn sprinklers, or take them to the beach (dog beach). Don’t “baby” your puppy or teach him to fear something such as a thunderstorm, loud noises, air horns, or other large animals. This last advice is sometimes harder than it seems. Just as with children who are frightened, our human instincts push us to protect them from perceived dangers. The best approach to unusual noises is to approach them as any good canine mom would—matter-of-factually. Do not cuddle, coo over, or hold your pet as you might a frightened child. Simply say, “Oh, that is thunder,” and go about your business. Your puppy will get the idea. 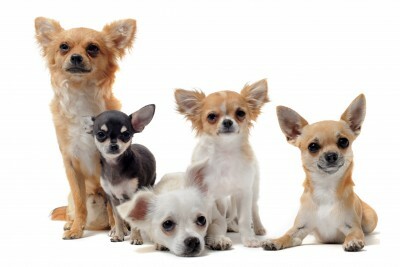 Do small dogs need to be socialized around other dogs? Some say no and the reasons they give are numerous. 1. My dog is an indoor dog. 2. I don’t plan to take my dog to a dog park. 3. I don’t plan to get another dog. 4. I don’t plan to let my dog interact with other dogs. 5. My dog will always be in my pooch purse. These may be noble “plans” but situations change, people change, and our beloved pets must also adjust in response to our life changes. We start walking our dog around others who are doing likewise; we meet someone who has a dog and hope that both dogs will get along. We decide to get another dog. The list could go on, but suffice it to say that the average person lives in an ever changing world. Socializing a puppy to other dogs is much easier when the dog is young rather than hoping for the best if your life situation changes and you must push your adult dog to change too. One of life’s greatest gifts is the bond and love that develops between a human and their pets. Puppy socialization is one way to develop that bond and assure that the love will stretch into the next 15 plus years.